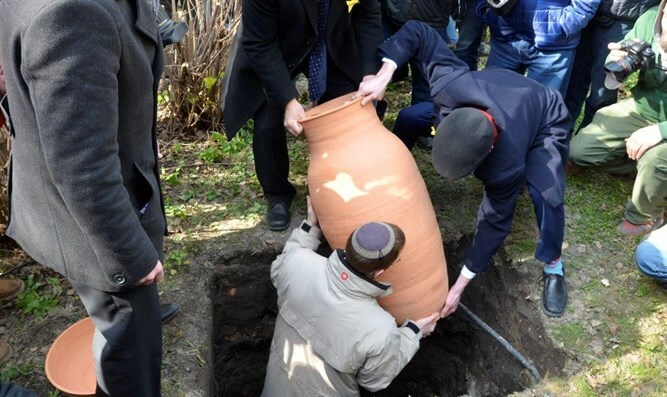 Warsaw's Jewish community buried damaged Torah scrolls on the anniversary of the Warsaw ghetto uprising. Warsaw's Jewish community this week held a ceremony in which damaged Torah scrolls were buried. The ceremony took place on the occasion of the 74th anniversary of the start of the Warsaw ghetto uprising. Around 7,000 Jews died in the month-long uprising, most of them burned alive, and more than 50,000 were deported to the Treblinka death camp. The Germans then razed the ghetto.